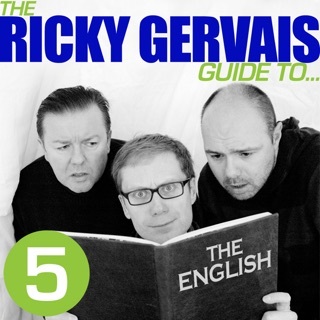 Extras); and the round-headed idiot savant, Karl Pilkington. Karl reflects on the year past and singles out an unlikely highlight; Steve stocks up on yuletide essentials; Karl advocates an anarchic Christmas and complains about his domestic chores; Karl's diary draws to a close with revelations of bothersome footwear, cravat-luggage, not-so-current affairs, bees, beds, and worry-holes; and Ricky provides an emotional exit en route to the orphanage. These shows are really funny, and definitely worth the 3 bucks, but I can't help but feel annoyed. 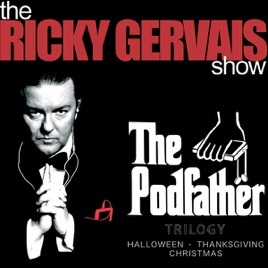 The 3 podcasts that you are downloading were given free as a "Thank You" the everyone who paid for the original shows. Oddly enough it is late may and he is releasing a Halloween, Thanksgiving, and Christmas themed show in the summer, but he also had a loyal fan site shut down for simply posting a link to the FREE content. Yeah, how dare they charge money for something they ALREADY gave away for free (which required them to pay for the production, distribution, hosting, and promotion of). And don't bother listening to these things to hear the parts where they mention that this is now the only source of income for Karl Pilkington, the bloody star of the phenomenon and dedicated fan-of-his-fans who maintains a massive archive of all the free hours of the same sort of content on Pilkipedia. Highway robbery, this is. The nerve of people to charge for the things they produce. On that note; it's hysterical, just like the rest of them. Buy it. Get over yourself. One of the Most Entertaining Shows Ever!!! This is without a doubt one of the best pieces of comedy I've ever heard. Ricky Gervais is a comic genius and seems to make a point to surround himself with equally funny characters in all aspects of his professional and personal life. Karl Pilkington is one of the strangest individuals on the planet! The three really have a great relationship and I love the amount of laughs it brings. Laugh out loud funny funny stuff!!! Can't wait till the next round of podcasts to add to this classic comedy trio.